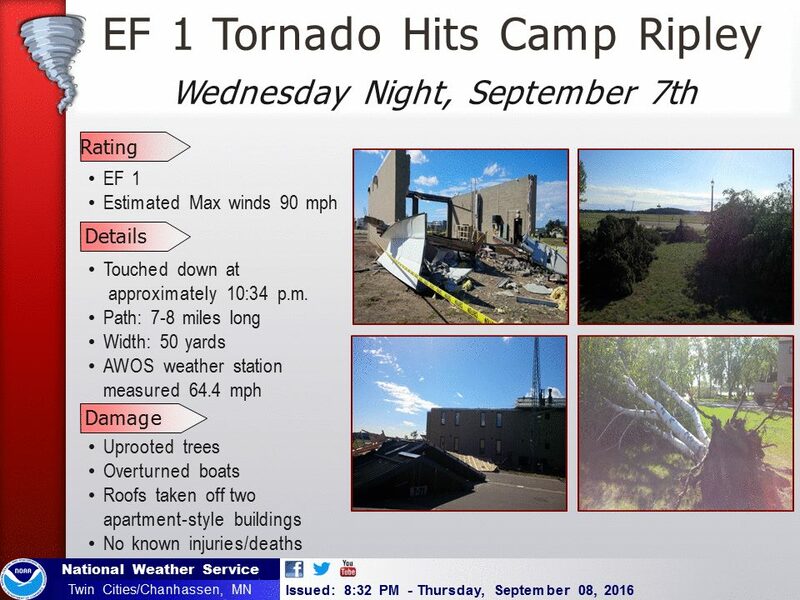 There was only one tornado reported in the United States on September 7, 2016 and it happened to be at Camp Ripley in Morrison County. A large line of thunderstorms moved eastward across northern and central Minnesota during the evening of September 7. 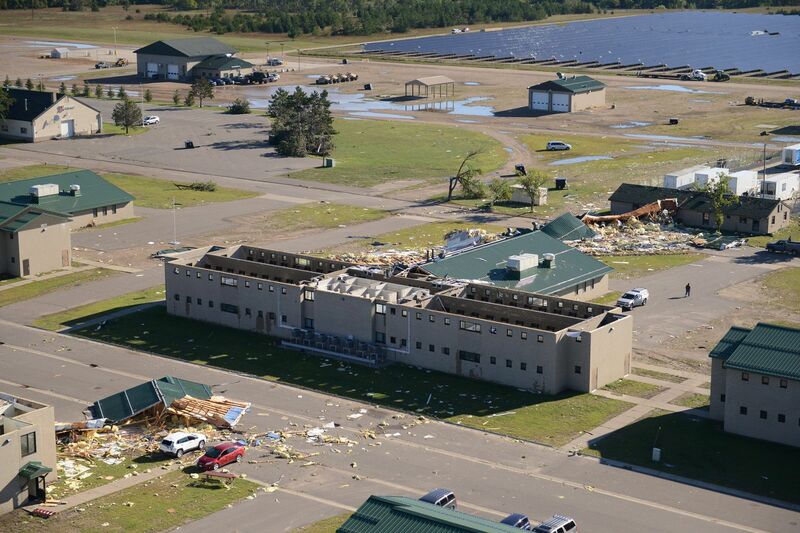 After dark at 10:34pm, an EF1 tornado touched down at Camp Ripley causing damage. The tornado path was seven to eight miles long and 50 yards wide. The tornado lifted a roof off a large two-story apartment-style building and damaged several other structures. Trees and cars also sustained damage and debris was blown into a newly constructed solar panel array, damaging the panels.